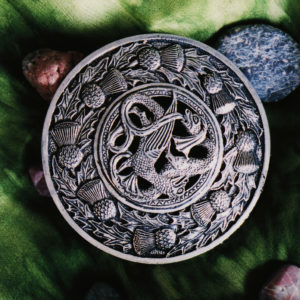 The pin is approximately 75 mm across. This design is based on the looping dot and curl patterns that decorate the gold rims of the great Calling Horns of ancient Ireland. 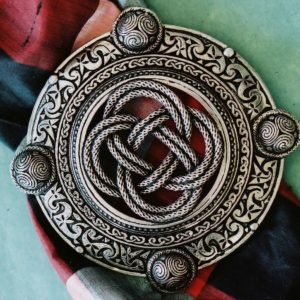 A beautiful piece of stylized Celtic art, this Plaid Brooch calls out from a time of legends and heroes to our own time. 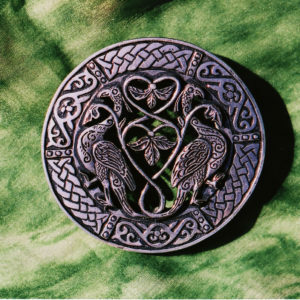 And, like all good Celtic art, it is timeless. 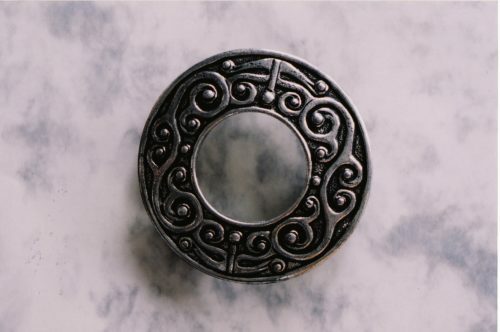 Simple enough to wear with almost anything, beautiful enough to wear almost everywhere.